Tomorrow is the first day of summer, but you might not guess it by looking at most of the BC HighwayCams across the province this morning. Lots of rain, fog and even some snow. Highways 1, 31, and 31A have been impacted by high water levels. 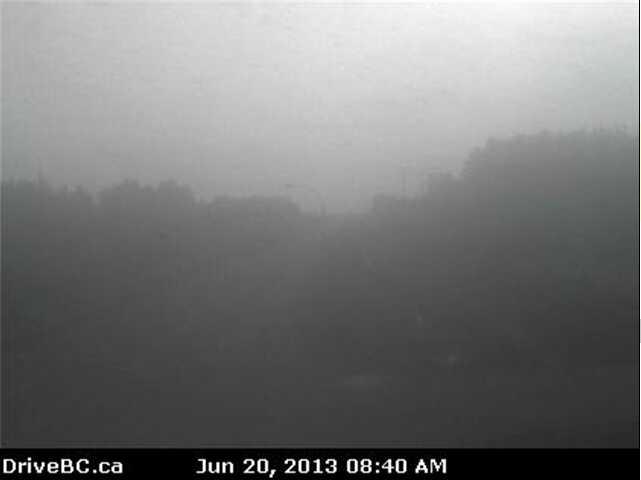 Here is a snapshot of the last day of spring 2013 in B.C., courtesy of DriveBC. 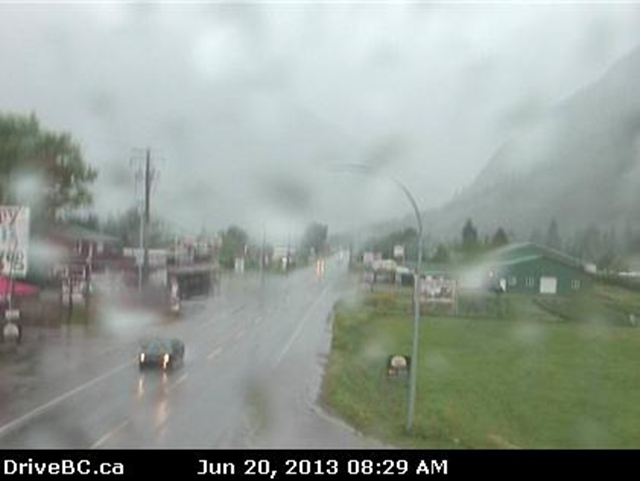 Wet , wet and more wet on Highway 3 at Keremeos this morning. Good for the cherries! Have a look at it now. 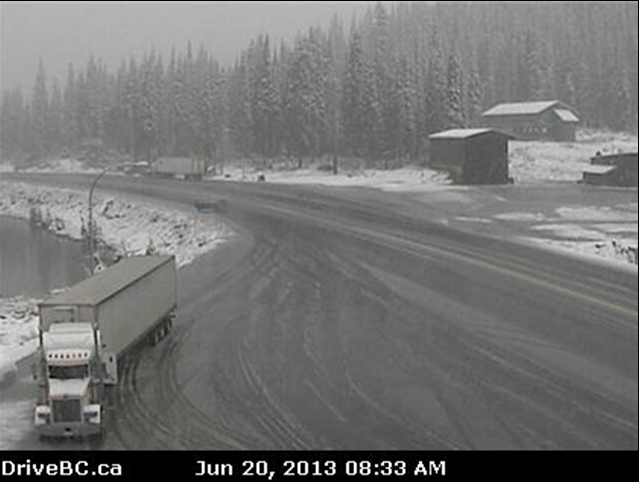 Yup, that’s snow in Kootenay Pass and yes, the first day of summer is tomorrow. Ahhh, B.C. livin’! See Kootenay Pass now. A grey commute over the Ironworker’s Memorial, in the Lower Mainland. How does it look now? Chetwynd B.C., closed in by fog. Check to see the current road condition. So, here’s to summer and hoping that all this rain keeps B.C. green and beautiful – well into the coming summer months. And remember, if you are travelling somewhere this summer, or anytime of the year, it pays to be prepared – Check DriveBC and know before you go! Our friends in Alberta Transportation have a great site here: http://511.alberta.ca/ which should give a good idea of road conditions to the border. Our DriveBC site has a plan your route feature which you might find helpful. 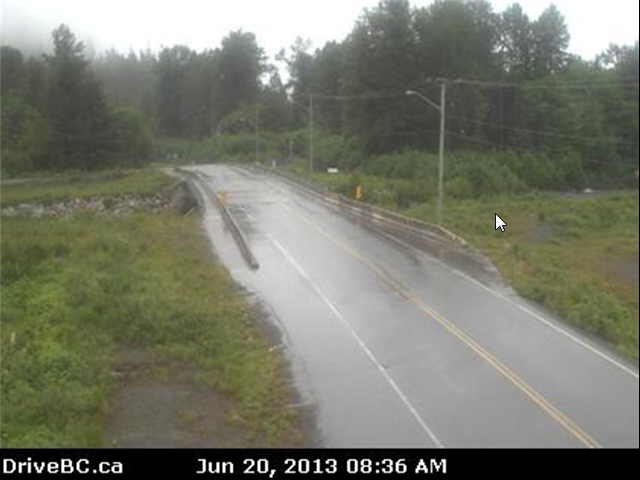 http://www.drivebc.ca/directions.html and don’t forget to check our webcams along the way as well. Safe travels! Why is it so difficult for me to find the Summit Lake web cam? It is located on Hwy 97 at Summit Lake Rd, about 33 km north of Prince George, looking north. 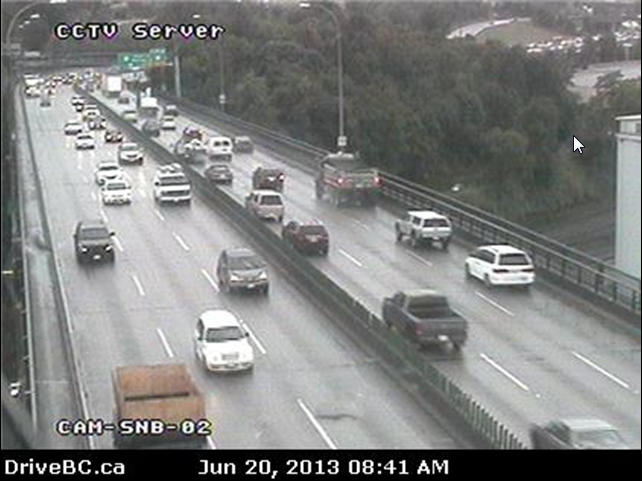 You can find it from the DriveBC homepage under BC HighwayCams and then clicking on the Northern Region (NR) tab. Can’t even find the KOK cam onywhere on Hwy 5 typical Min. of Trans screwups. As to your other remark, could you be a little more specific as to your concerns?